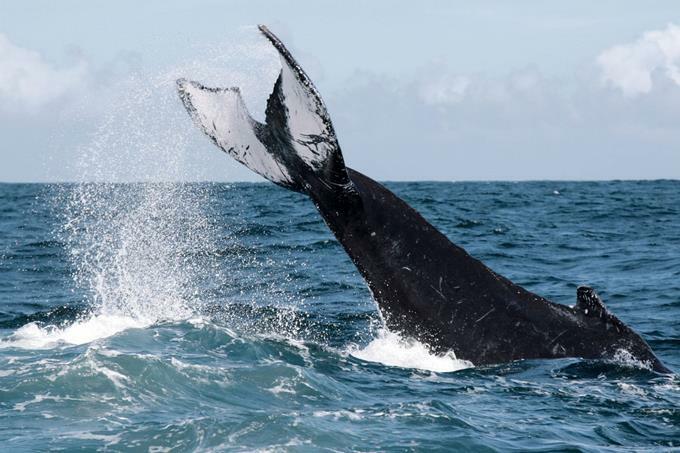 February is the recommended month to watch the Queens of the Atlantic, the colossal humpback whales that visit us every year to mate and breed in the warm waters of the Caribbean. Although they begin to arrive at the end of December, it is in February that the largest number of adults and pups have been counted swimming in the north and northeast coasts, on the banks of La Plata and La Navidad. If you wish to observe them, these five recommendations will help ensure that your trip turns out as expected: without setbacks and loaded with beautiful mental and photographed postcards to remember these cetaceans for life. 1. The tour can be done through a travel agency from Santo Domingo or the city of Samaná or waiting for a turn with the boats that dock at the docks of the municipality of Samaná, Miches (El Seibo) and in Sabana de la Mar (Hato Mayor). 2. From the ground. Fear of the sea or a new experience? The observatory located in Punta Balandra, 14 kilometers from the center of Samaná, is free and allows one to observe a large piece of the ocean. Bring binoculars and something to eat while you wait for them to appear. 3. No dizziness. Many people say they do not do the tour to watch the whales because the boat trip tides them and causes them to vomit. To avoid them, take an anti-smoking pill 15 minutes before setting sail. 4. Do not despair if waiting in the middle of the ocean seems like an eternity. The whales come out to breathe every 20 or 25 minutes, so it is very difficult for one to leave the bay without at least watching them swim. 5. Remember to take a swimsuit. Many of the tours end with a bath and a typical lunch on the beach of Cayo Levantado, the largest of the islets located in the bay of Samaná. By 5:30 in the afternoon, all boats must be anchored. The season ends by mid-March.